Do backlinks really work anymore? (Entry was posted by Online Publishing Services - Promise Media on this post in the Dumb SEO Questions community on Facebook, Friday, September 5, 2014). I have seen sites lose important backlinks and not experience a drop in traffic. I have seen sites gain important backlinks and not experience an increase in traffic. Do backlinks really work anymore?? You can download this video (1289MB) to watch later. You can also download the audio only version (263MB) of this HOA. Brian Swanick: Absolutely, yes. I've seen a lot of instances where sites have links removed but still retain a lot of authority. For instance, a lot of sites that are good for local used to essentially have a local link exchange. You had a page? You got a followed link. Even though now many sites nofollow those links or block some of the content from public view, a site may still have the initial equity they gained from that initial link. 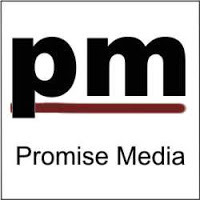 Online Publishing Services - Promise Media: Steven, I've read the same things. I wonder how much of that view by some writers is based on past experience rather than the current situation. Online Publishing Services - Promise Media: Brian, you hit on a related concern, which is how many sites now use nofollow links. I've spend a huge amount of time trying to find dofollow links, and it's extremely difficult to find them unless you build related blogs or in some cases cheat (i.e., pay a site in violation of Google policies). View original question in the Dumb SEO Questions community on G+, Friday, September 5, 2014). I have 100 % bounce rate from direct traffic in Analytics. Is Hreflang good for a site that`s in English? If I remove PHP in search, the page does not show. Should I subscribe to business.com? Will the links directed at a deindexed domain still pass PR? I`ve changed my website URL from http to https. Does language and the ending of the domain impact ranking? Majestic SEO trust and citation scores. What is the best Keyword level Call Tracking Tool for both SEO & PPC? Please tell me the way to do competitor analysis? Please direct me to a cpanel community? 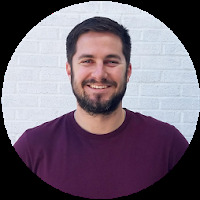 SEO ramifications of using the "Instagrate to WordPress" plugin. Is there any advantage of Google Partner certification? How to set up goals on AJAX Form Using Google Tag manager?